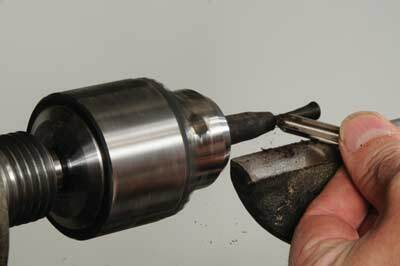 I am sure most turners have a Jacobs chuck, or drill chuck in their tool kit, it is a simple and versatile tool, but I wonder how many people get the most from theirs? 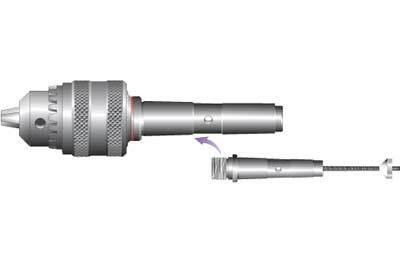 Drill chucks are available in a range of sizes from small, with a maximum gripping diameter of just 6mm (1/4in) to large which grip up to around 13mm (1/2in). They also come in keyed or keyless versions. I use one with a key as these tend to be more readily available and are usually less expensive than the keyless type. 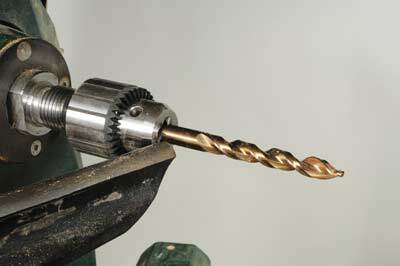 In my experience it is usually worth spending a bit more on drill chucks as cheap ones often run out of true, which is a real pain and can lead to holes drilled to sizes other than you originally intended. 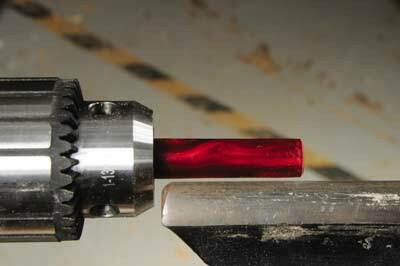 In an ideal world drill chucks would all have a draw bar on the back to secure them into the headstock of the lathe - this is basically a long threaded bar that allows a nut to secure the chuck into the taper through the headstock of the lathe. In reality most do not have these. In fact, I do not have a drill chuck with a draw bar. 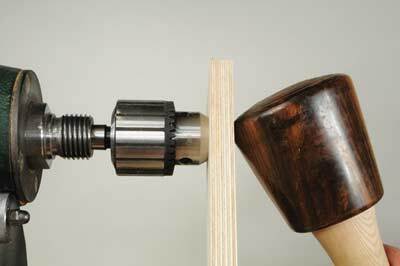 Don't worry; there are a few simple steps you can take to safely get the most from your drill chuck. 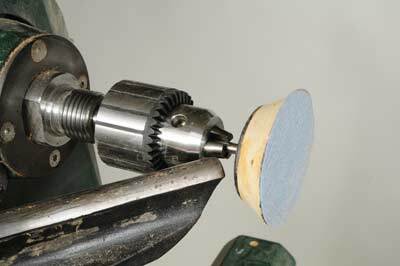 I say safely because I'm sure most of you have experienced the moment when the Morse taper fitting comes loose from the headstock. This can be frustrating but at worst this can be dangerous, risking fingers and loss of blood! Richard Findley is a professional woodturner living and working in Leicestershire. He discovered woodturning while working for his father as a joiner. Richard makes all kinds of work to commission, from replacement antique components, walking canes or stair spindles, to decorative bowls. It is the variety of work that he loves. He also offers demonstrations, tuition and a range of woodturning supplies.